sarah-marie earned her Ph.D. in mathematics from the University of Michigan in 1997 after majoring in mathematics and astronomy at Haverford College. Among her research areas, she is most passionate about topological graph theory. sarah-marie has been faculty at several institutions, ranging from small colleges to large universities, and she's been a major believer in discovery-based learning since her teacher training at Michigan. In addition to teaching at the college level, sarah-marie teaches enrichment classes at the Art of Problem Solving. sarah-marie taught as a senior staff member at the Hampshire College Summer Studies in Mathematics for 11 summers and co-directed that program for 4 summers. 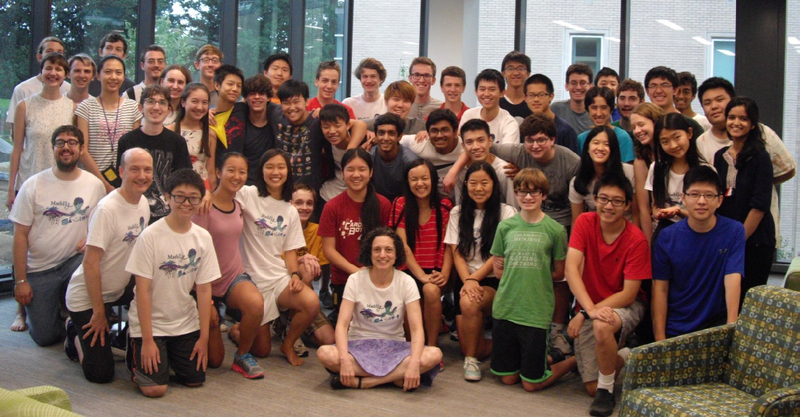 In summer 2012, she created and taught Mathematics Triple classes for UMass-Amherst; she is the inaugural director of MathILy and has taught there since 2013. She wrote the introductory textbook Discrete Mathematics with Ducks, which has much of the same tone students will find at MathILy. You might run into sarah-marie at HMMT or ARML (Penn State). Tom earned his Ph.D. in mathematics in 1997 and specializes in the mathematics of origami, which has applications ranging from solar panels to automobile airbags to self-assembling polymers. He has earned tenure at one college and one university (so far) and has used more and more inquiry-based learning in college classes as he has advanced in his career. 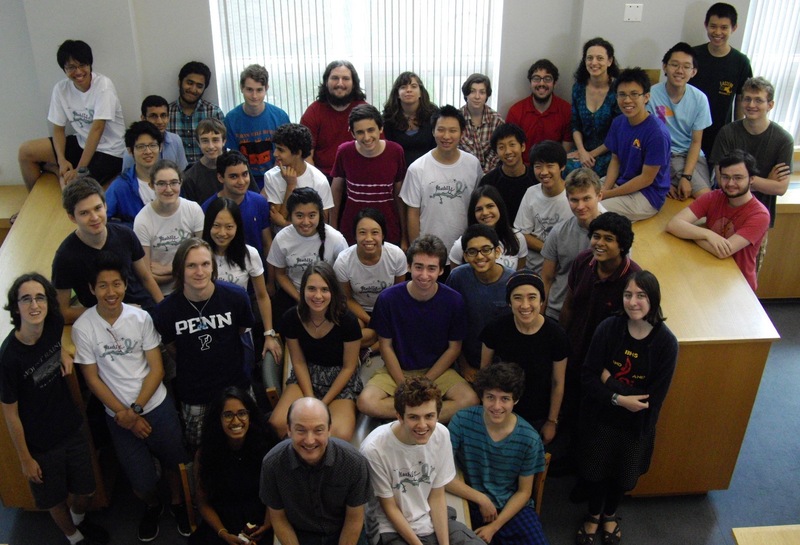 Tom taught at the Hampshire College Summer Studies in Mathematics for 15 summers, and at MathILys 2013--18. Nate earned his Ph.D. from MIT in 2017, ostensibly specializing in representation theory, and is now a postdoc at the University of Chicago. 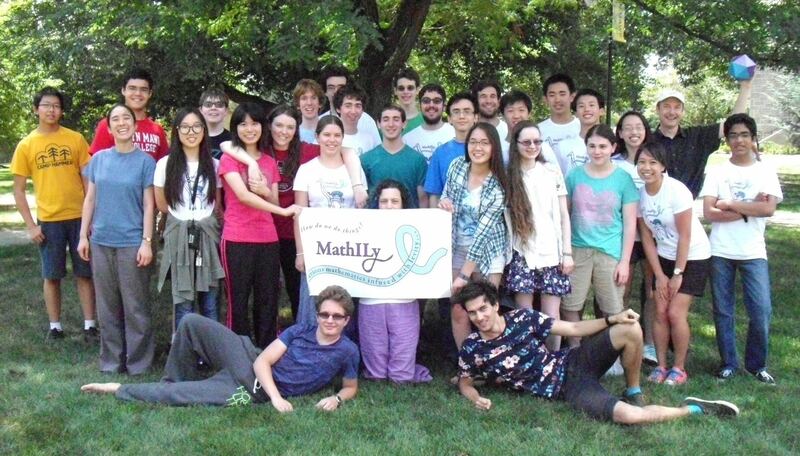 He has taught at MathILys 2014, 2015, and 2018, at the UMass-Amherst Mathematics Triple and at the Hampshire College Summer Studies in Mathematics, and has a personal relationship with Batman. Emily earned her Ph.D. in math from Berkeley in 2009, where she studied operator algebras (like linear algebra, only more so), proof by pictures, and knots. After uncountably many* postdoctoral positions, she's now an assistant professor at Loyola University, Chicago. She is married to a fellow mathematician, and they have two kids, ages 6 and 3. Emily knits, weaves, sews, reads, and can do one pushup and the monkey bars. She taught at MathILys 2017 and 2018. Adam earned his Ph.D. from Georgia Tech in 2008 and is currently an assistant professor at Princeton. He has been proudly "social media free'' for nearly 10 years, which has allowed him to dedicate more time to his hobby of eating Icee-Pops. Brian just earned his Ph.D. from Brown University studying differential geometry. He did research as an undergraduate at the University of Illinois through the Geometry Lab and the Center for Complex Systems Research. He has taught at the Hampshire College Summer Studies in Mathematics and MathILys 2015--2018. Corrine is a mathematics graduate student at Rutgers University planning to specialize in discrete mathematics. She graduated in May 2016 from Sarah Lawrence College, where she concentrated on both mathematics and theatre. Although on a Ph.D track, she still hopes to pursue her acting and playwriting interests; her main project is a one-woman show about Sofia Kovalevskaya that incorporates math, music, movement, and foreign languages (see her website for production photos!). Gideon is an undergraduate at the California Institute of Technology studying math. He participated in MathILy 2013 and 2014, and has since been a teaching assistant for a few courses at Caltech. He currently spends a lot of time trying to understand what computers can and can't do. Josh is an graduate student at the University of Chicago. He loves to listen to and play the piano, and can often be found singing Beethoven to himself. He participated enthusiastically in MathILy 2013 and was an Apprentice Instructor for MathILys 2017 and 2018. Connor is a fifth-year Mathematics graduate student at the University of Washington doing research in algebraic combinatorics. He also enjoys teaching, especially linear algebra, and has ideas for improving the linear algebra curriculum. Outside of mathematics, he likes practicing aikido and playing Magic the Gathering. He has also seen every episode of the "The Simpsons" between Season 1 and Season 26, inclusive. Daniel just finished a postdoctoral position at the University of Utah, and did his Ph.D. at the University of Chicago, where he studied geometric group theory. He has taught several college courses including inquiry-based Honors Calculus, and has taught at the Hampshire College Summer Studies in Mathematics as well as at MathILys 2014 and 2017. Jason is a first-year mathematics Ph.D. student at Rutgers University. He is unsure about his intended research area, but is currently looking deeper into abstract algebra. In high school, Jason thought that math was boring and easy. He has since learned that it is neither of those things, which is what keeps him coming back for more. He has worked as a teaching assistant for various courses at Lafayette College, where he finished his undergraduate degree in May 2016. Jason also loves to read. Anila is a fifth year Ph.D. student at North Carolina State University. She completed her B.S. in Mathematics at University of California, San Diego. She has taught a variety of courses at NCSU and has recently started implementing inquiry based activities after attending a workshop at Cal Poly, San Luis Obispo. When she's not in her office teaching and learning math, you can find her bouldering at her local climbing gym, cooking vegetarian food, or watching cake decorating videos. Namrata is a Math major and Statistics minor at Bryn Mawr College. She has loved Math since she was four! If she's not doing college work or at her campus job, she can be found watching dog videos or cricket (the sport no one in America knows about). Kimball is an undergraduate at UC Berkeley majoring in math with a minor in computer science. When he's not doing math (and sometimes even when he is), he can be found singing or cooking (or both). Sara is an undergraduate at Carleton College. Majoring in math and religion, she is excited to see how she can combine these two interests. She loves music and adventures, activities that include playing the viola, radio hosting, hiking, dancing, swimming, and tennis. Emil graduated from Harvey Mudd College with a degree in Math and Computer Science and currently works as a software engineer at Apple in the San Francisco Bay Area. His hobbies include math, recreational programming, board games, longboarding, and listening to good music. 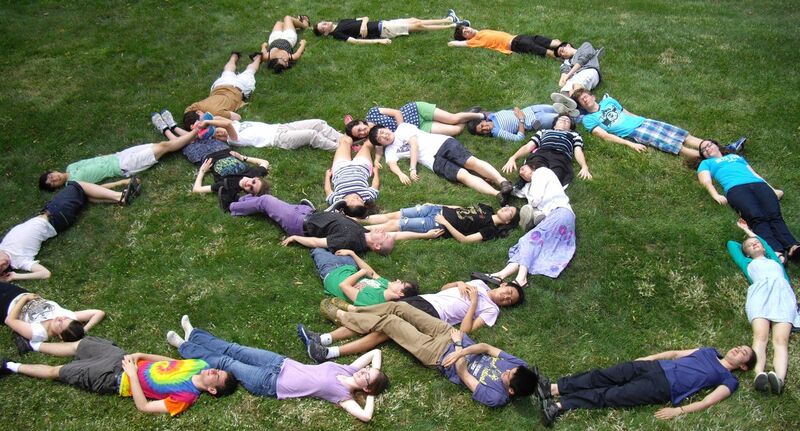 He has taught at MathILy in 2013 and previously at the Hampshire College Summer Studies in Mathematics. Evangelie is a graduate student at Stanford, still pinning down her exact area of study (most likely some flavor of geometric analysis). She earned her undergraduate degree at Princeton and spent a year afterwards at the University of Bonn. She has previously taught at Hampshire College Summer Studies in Mathematics. Hallie is an undergraduate at MIT studying math and music who hopes to eventually be able to combine these interests. One of her main hobbies is theater, both on and off the stage. She doesn't really know where this set of interests will lead her, but hopefully it's somewhere interesting. Rob graduated from Berry College in 2016 with a degree in mathematics and chemistry. He did research while at Berry in graph theory, knot theory, and electrochemistry. In the summer of 2015 he participated in the Director's Summer Program (NSA). Starting in August 2016, Rob will be a graduate assistant at LSU studying topology (perhaps specifically knot theory, he has time to decide). His non-math interests include swing dancing, board games, origami, and cooking. Cynthia went to Oberlin College and UC Berkeley, where she got her Ph.D. She enjoys a wide variety of mathematical areas ranging from algebraic geometry to combinatorial optimization. She just moved south to join the faculty of North Carolina State University and is consequently learning to fend off sharks, enjoy bbq, and use the pronoun y'all. Max is a graduate student at the University of Chicago, currently studying harmonic analysis. His pre-graduate-school publications are on isoperimetric problems. 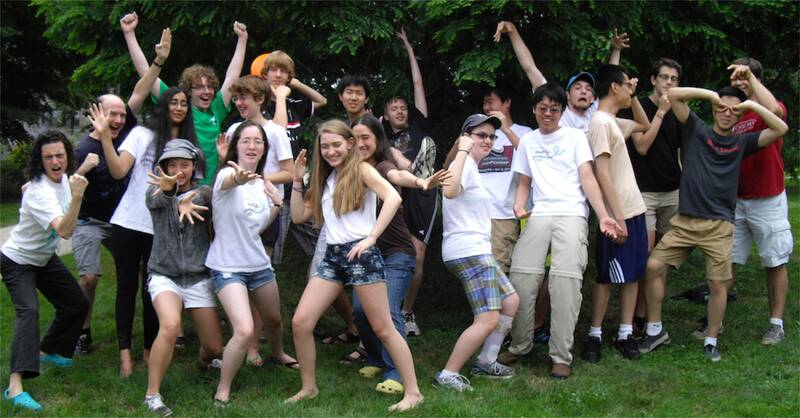 Max has taught at the Hampshire College Summer Studies in Mathematics. Lisa is a graduate student at the University of Texas studying low-dimensional topology. Her undergraduate research was in knot theory and discrete geometry. She taught at SIMUW in 2013. Madison graduated from Smith College in 2008, where she majored in mathematics and German studies. Since then, she spent some time in grad school for library science, got married, and was acquired by two cats. During the academic year she is the MathILy Minion. Miles is a graduate student at the University of Chicago. In high school, he earned the individual high score at ARML (twice!) and as an undergraduate he achieved distinction in the Putnam Exam (again, twice!). He has assisted in teaching at the Art of Problem Solving, PROMYS, and the Research Science Institute. Reese is an undergraduate mathematics major at Western New England University and has done research on the mathematics of paperfolding. He likes to run and play Ultimate Frisbee.